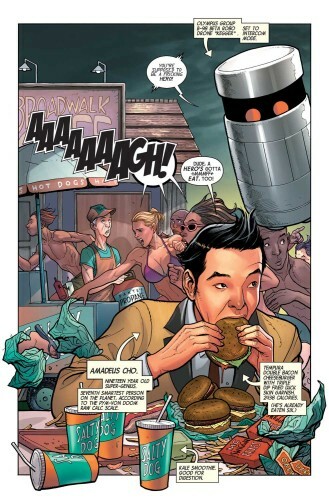 Greg Pak and Frank Cho release a brand-new old favorite into the world! The Hulk has gone through at least one major rethinking every two years, and this is the first one that feels like something more than just shaking up the status quo. This could be a true promise of a new day for Marvel, and one which, if handled right, will bring in younger readers. Kids love the Hulk. Even though they’ve aged Amadeus up a little bit, he’s still essentially a kid. This is going to be fun. Or more likely — totally awesome. Strap in, hold on and Hulk out True Believer. It’s time for a new Jade Giant for a new Marvel Universe. 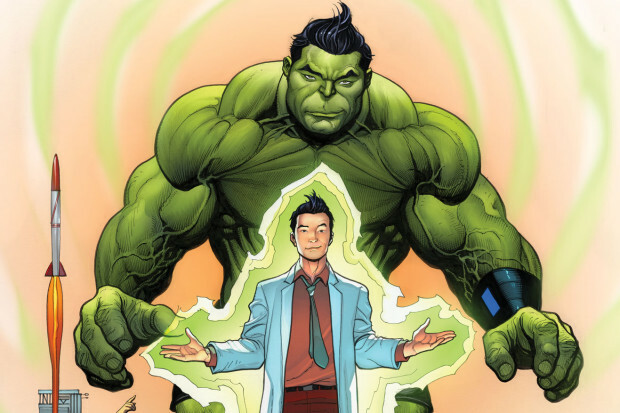 Amadeus Cho is here, and he’s throwing a gamma punch in your face this December in THE TOTALLY AWESOME HULK #1 – the explosive new series from writer Greg Pak and artist Frank Cho! 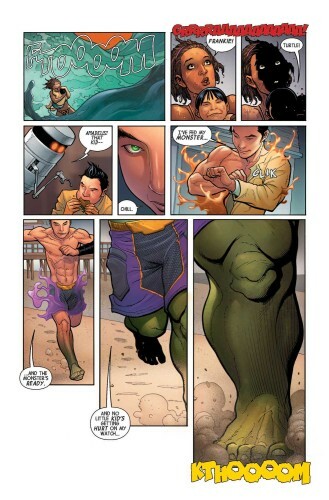 A 19-year old boy genius is now the strongest being in the Marvel Universe. What could possibly go wrong? 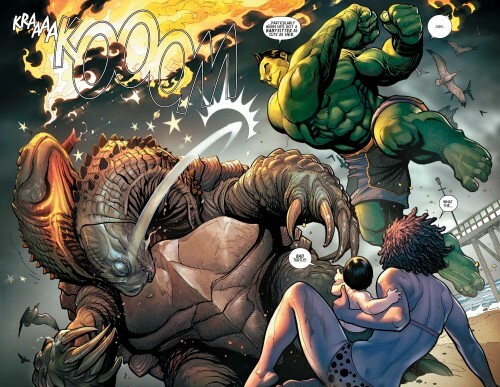 The mystery behind the Hulk’s new identity may have been revealed. But the questions don’t stop there. How did he come to be? 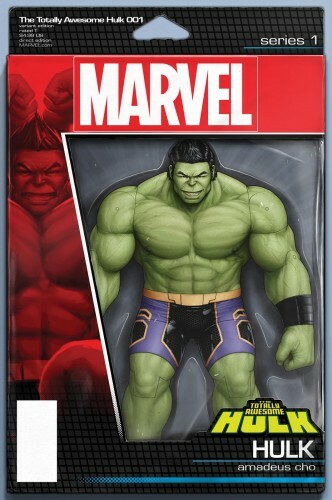 What happened to Bruce Banner in the previous eight months. All will be revealed. But first – prepare for a completely different kind of Hulk. Not tormented. Not conflicted. 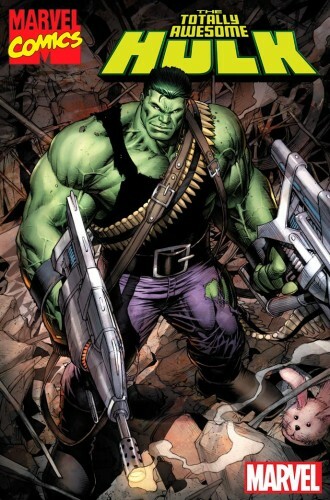 Just a giant green wrecking machine who loves being the Hulk! Now is the time to jump on board the series that already has the world talking. 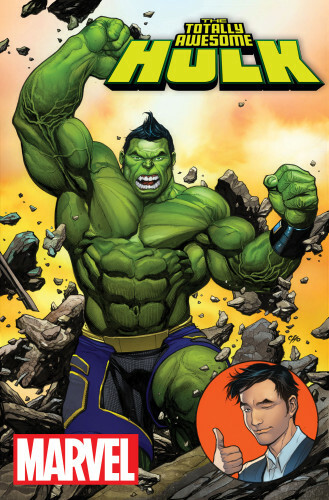 Big heart, big action and high stakes await Amadeus Cho on his very first Hulk adventure. 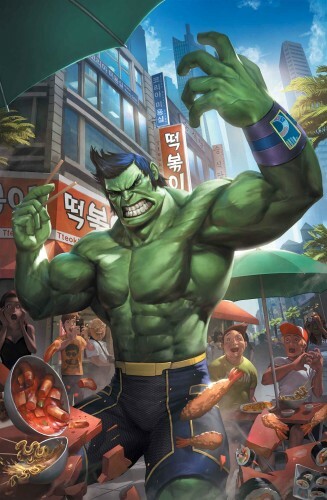 Believe us, you’ve never seen a Hulk like this before and it’s going to be TOTALLY AWESOME. 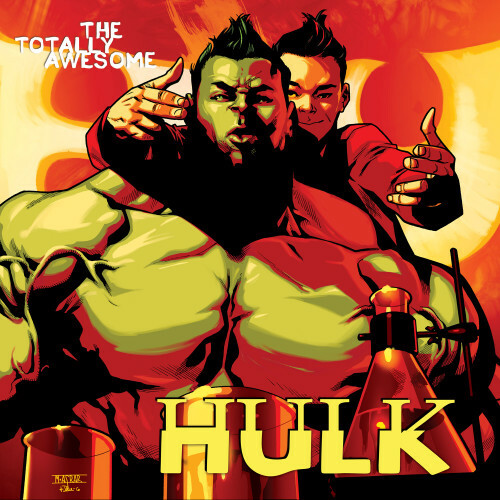 Be there as Amadeus’ exciting journey begins in THE TOTALLY AWESOME HULK #1!